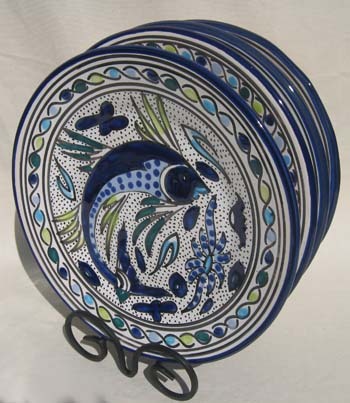 Their ceramic production is hand-made and hand-painted at the Le Souk studio. Their workmanship is truly artisanal - they use no machinery for their painting, nor any decals or stencils. Each piece is painted freehand. They use only foodsafe paints and glazes for your safety as well as that of their employees.